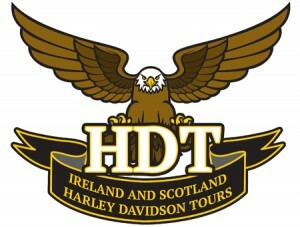 After collecting our Harley-Davidson motorcycles we set off for Donegal , riding the beautiful coast Road. We stop at Dunluce Castle perched on the cliffs overlooking the Atlantic Ocean. We then cross the border into County Donegal ( Republic of Ireland MPH to KPH ) , riding through stunning scenery. You will experience the many traditional bars and restaurants absorbing true Irish Culture. After a hearty traditional Irish breakfast our ride today takes us around the stunning Dingle Peninsula. Several opportunities to view and photograph the magnificent vistas. Our second night in Dingle. Today, we ride through the rugged Wicklow Mountains ( a large part of the film “Braveheart” was filmed here ) , and stop to view the spectacular vistas before dropping down into Dublin to our hotel. You are free in the evening to savour all that is, a multi cultural European City. Numerous historic sites and buildings and of course a visit to the Guinness brewery at St James’ Gate is a must, with an opportunity to taste a pint of the black stuff. Our final day arrives and we leave Dublin riding Northwards taking in Slane Castle and the Boyne Valley. We will stop at the magnificent Newgrange which is older than the Pyramids and Stonehenge! We bid farewell to the Republic of Ireland, crossing over the border once again into Northern Ireland KPH to MPH. Its time to say farewell for the time being. You leave the Emerald Isle with unforgettable memories and having made many new friends for life. As we say , “ the craic was 90 “, ( we had great fun ).